​Tottenham Hotspur fans have been voicing their anger on social media over the cost of the club's season ticket prices at their redeveloped stadium. 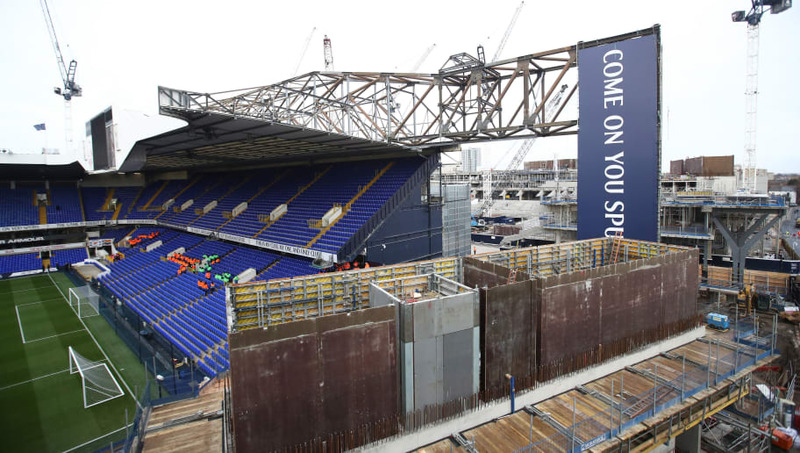 The north Londoners took to their ​official site to reveal the structuring of their prices for seasons tickets at their brand-new ground from next season onwards - the most expensive of which will set adult supporters back almost £2,000 - and make Spurs the most expensive side to watch in England's top flight. The cheapest season ticket on offer to adult Spurs fans will be priced at £795 but, given that selecting that option will exclude domestic cup matches and is only available in a small section of the south stand, many have voiced their displeasure at being ripped off by the club they follow through think and thin. Prices have been split into four categories - adult, junior, young and senior - but many Spurs supporters are not happy at having their ticket fees increased on this season's prices at temporary home Wembley. The cheapest ticket on offer at England's national stadium, where Spurs have been housed this term as they work on developing White Hart Lane, set punters back £645. The most expensive - £1,700 - is almost £300 less than next term's £1,995 season ticket that will offer the best views at the club's redeveloped ground. No wonder you didn't tell the @THSTOfficial what was coming. We all expected an increase but I think you've 'succeeded' in making that increase higher than even the most pessimistic expected. Nice one Tottenham. Spurs' redeveloped White Hart Lane stadium will be the most modern-looking in England and, with LED lights being fitted into its exterior, will glow on the evening of match days. The ​Premier League side expect to generate an additional £28m-a-year from home games - a rise of 50% - and will also allow for NFL matches to be played on its turf in a bid to further increase turnover and monetary income.